At Milestone Orthodontics, we understand that changing your diet for the sake of maintaining your orthodontic appliances is a hassle. That’s why we offer treatment with Invisalign in Verona, NJ. Since your Invisalign clear aligner trays are completely removable for eating, brushing, and flossing, you don’t have to worry so much about the foods you eat. With other treatments, orthodontists often recommend avoiding very hard foods that could break your appliances. But since you remove your Invisalign aligner trays for eating, you don’t have to worry about breaking anything. Sour candies: These have a lot of acid. And the acids in sour candies wear down the enamel on your teeth. Without the enamel coating, your teeth can be brittle in addition to exposing some nerves. Milestone Orthodontics highly recommends brushing, or at a minimum, rinsing your teeth with a fluoride mouthwash after eating sour candies to get under your braces where there is sugar. Hard candies: These take longer to dissolve, so, it’s like bathing your teeth in sugar and acid. The sugar stays in your mouth longer, and the longer the sugar is in your mouth, the more vulnerable your teeth are to cavities. 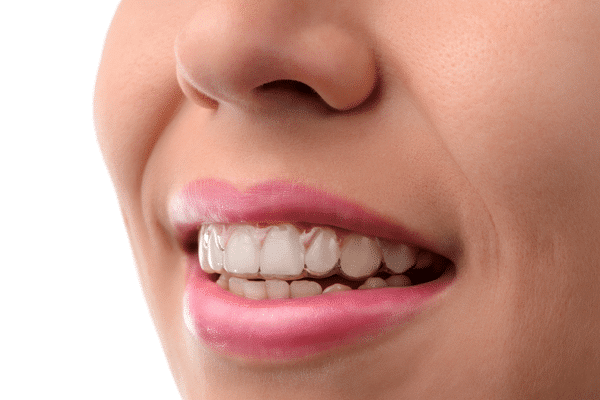 Milestone Orthodontics encourages brace and Invisalign wearing patients to brush and/or rinse. Sticky, chewy candies: These are not the best of friends with braces and teeth. Candies that include taffies, caramels, and peanut butter or are nut-filled leave a sticky residue on your teeth and gums. These candies act like an adhesive for bacteria which leads to tooth decay. Again, brushing is best. If you want to be able to maintain your eating, brushing, and flossing habits during orthodontic treatment, then Invisalign may be for you! For more information about treatment with Invisalign, or to schedule your initial consultation, don’t hesitate to contact Milestone Orthodontics today!